Just a week ago, during the announcement of Windows 10 in San Francisco, Microsoft revealed that the next OS of its popular Windows Phone will be called Windows 10 too. That made all the predictions about the next Windows Phone OS go in vain. Today we are here to present the concept of the World’s first ever Windows 10 smartphone, the Nokia lumia 935. This concept, given by Ibrahim Sujau features a 5.5 inch display with a resolution of 2560 x 1440 pixels. It features a 20 Mega Pixel camera with flash , 2 GB of RAM and 64 GB on board storage, expandable via micro SD card. Aluminum is used as the constructing material. The speaker is now bigger than before and there are 3 pins for the charging cradle at the back. The hardware buttons( volume,power and camera) are at the side which seems to be made of metal. The buttons at the front can be capacitive or on screen but it might be capacitive. 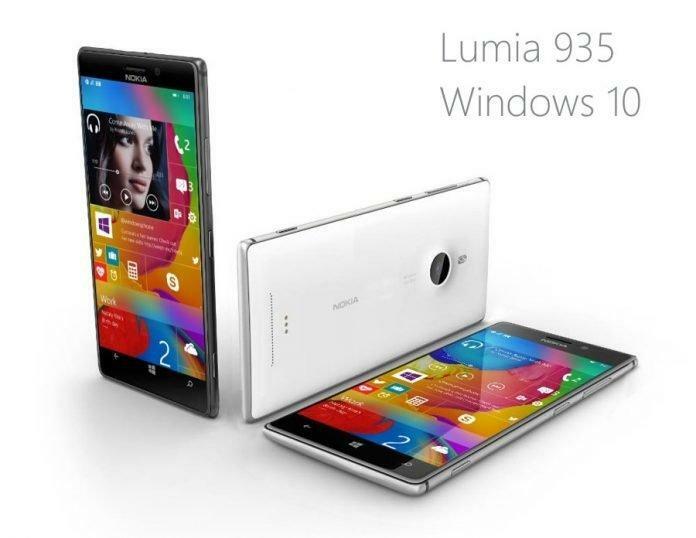 The back is probably polycarbonate similar to the Lumia 930. As we see the screen it looks to be completely revamped and it looks quite good.